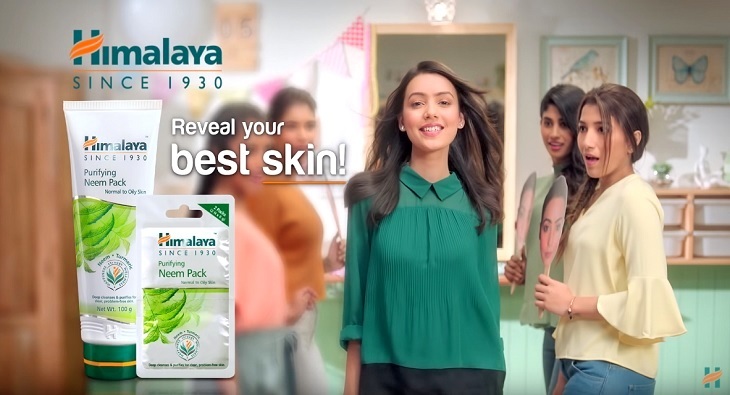 The Himalaya Drug Company has unveiled its latest campaign “Reveal your best skin” for Himalaya Purifying Neem Pack. The thought-provoking commercial focuses on how consumers can reveal the best version of their skin with the regular use of Himalaya Purifying Neem Pack. In an attempt to look our best, we often tend to hide our skin imperfections. However, the root cause behind it often goes unaddressed. Team Eighty Two Point Five Communications conceptualised the commercial to highlight and bring alive the product benefit to consumers. Commenting on the campaign, Naveen Raman, Sr. Vice President & Branch Head, Eighty Two Point Five Communications, said, “We keep the consumer first in our thinking and all our campaigns are looking through their lens. Natural, flawless skin is what every young girl desires. However, given the stressful lifestyle and uncontrollable external conditions in her life, she ends up trying multiple hacks and quick fixes to hide the imperfections of her skin. Himalaya Purifying Neem Pack addresses this problem and provides an effective solution." Apart from the face wash, there are various other face care products from Himalaya, offering targeted solutions for common skin care concerns. Himalaya Purifying Neem Pack is infused with the natural goodness of Neem and Turmeric that work together to cleanse the skin and remove deep-rooted skin impurities. Himalaya Purifying Neem Pack is available at https://www.himalayawellness.in/. The face pack is also available on leading e-commerce stores like Nykaa, Amazon, and Flipkart.